a 20% discount code for Rhino Records ‘This Is Vinyl Collector’ online store. The code will not only get you 20% off the Talk Talk Spirit Of Eden LP (which also comes with a 24bit DVD version of the album) but will also get you 20% off every item in their store! 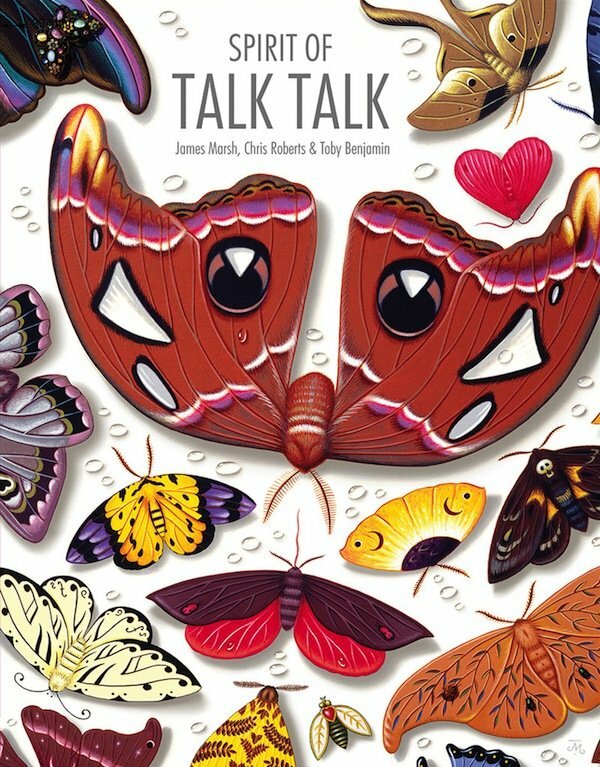 Spirit of Talk Talk features James Marsh’s exquisite, classic and previously unseen artwork, interviews, rare photographs a biography of the band by Chris Roberts & the full transcript of Mark Hollis’s final interview about the band —there are 24 pages of new content including an extensive preface, unseen photographs & memorabilia from founding member Simon Brenner. The original limited edition of the Spirit Of Talk Talk book sold out within weeks of going on sale. But this new, expanded paperback edition of the book (Mojo called it “a thing of beauty”) includes a new introduction from Phill Brown, the studio engineer who worked on Spirit of Eden, Laughing Stock, and Mark Hollis’ solo album. The book will cost you £35 on Amazon but use the exclusive Classic Album Sundays discount code CasTalkTalk on the Rocket 88 site and it will be yours for just £27 plus postage. Classic Album Sundays have an exclusive 10% discount on the book, just used the code CasTalkTalk at checkout on the Rocket 88 site. Talk Talk’s classic album ‘Spirit of Eden’ re-issued on 180g heavyweight vinyl cut from the original analogue master, together with a DVD featuring the album delivered as a 96kHz/24 bit LPCM stereo mix. The DVD features one extra track … ‘Spirit of Eden’ has the ‘b’ side ‘John Cope’. Considered highly influential and a cult classic, the album was voted one of Q Magazine’s “40 Best Albums of the ’80s”. For a 20% discount, head on over to Rhino Records online store and enter ‘TalkTalk20′ at the checkout. This code can be not only be applied to the “Spirit Of Eden’ LP, but to all of the albums in the store. Buy the album online here.